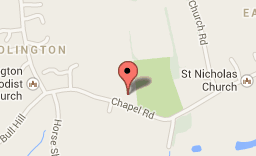 Chadlington Memorial Hall is situated in Chapel Road, next to the village cricket and football pitches. It has plenty of good parking and beautiful views across the Evenlode valley to Wychwood Forest. It is suitable for peaceful activities, such as bridge, Pilates, yoga as well as more lively parties and get-togethers. It is also a popular venue for children’s parties, as there is plenty of space outside for supervised play on grass amongst the trees. The Hall was extended in time for the Millennium celebrations, with a large well-equipped kitchen and a private meeting room. There is a curtained stage with stage lighting, disabled access and toilet, store cupboards for use of societies as well as ladies and gentlemen’s toilets and a small foyer. There is an automatic screen for slides, presentations and films which can be easily set up at the touch of a switch. The floor has been renewed and is well-suited to any form of dance activities. The Hall can accommodate 80-100 seated and 180 standing. It is licensed for live and recorded music, stage performances and dancing. It has a slide screen and hearing loop. The folding chairs are comfortable and there are 11 trestle tables and smaller tables for teas/bridge. Regular sit-down dinners are held in the Hall as the kitchen is well-equipped with 2 full-sized ovens, 2 new dishwashers, a microwave, fridge, tea-urn and there are full sets of china, glasses and cutlery. The Hall is not licensed for the sale of alcohol but occasional licenses can easily be obtained for functions from West Oxfordshire District Council (1 months notice at least required). 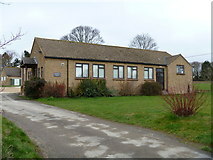 Chadlington Memorial Hall is a registered charity, with income from hirers, fundraising events organised by the Management Committee (all volunteers) and from limited local authority grants. The Management Committee does not organise any of the activities that take place in the hall, other than fund-raisers. So if you’d like to see any activity taking place there, get together with your neighbours and friends and put something on! PLEASE SUPPORT YOUR VILLAGE HALL.